2014 Highlanders now come with SofTex trimmed cloth interior trim on LE Plus, Leather on XLE trims, and perforated leather on Limited models. On Limited models an 8 inch touch screen is featured. 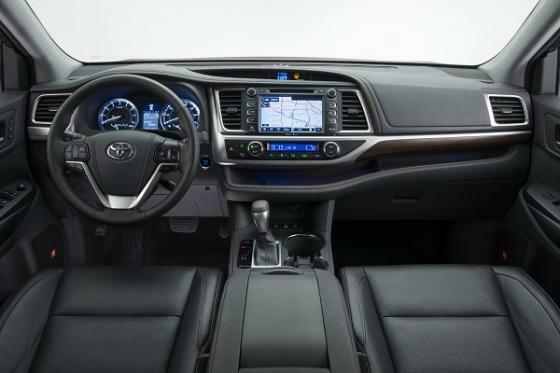 The new 2014 Toyota Highlander is available as either an 8-passenger or 7-passenger, three-row crossover. It can come with four-cylinder, six-cylinder, or six-cylinder hybrid power.